HELLTOWN BEER: Berhalter Spotted in the Heart of Gold Spaceship! Ever since the Columbus Crew Soccer Club's disastrous finish to the 2014 season, the Crew's coach, Gregg Berhalter, was thought to be lounging somewhere in the offices of Crew Stadium sipping on leftover draft beer. Rumors were spreading in regards to Coach Berhalter's utter despondency over losing to the New England Revolution in the Eastern Conference Finals. There were even whispers linking the sporting director to Frankie Hejduk's barber. The Helltown Beer Blog can confirm that none of the above is true (well, maybe the barber thing has some validity, but don't expect Gregg Berhalter to equal Frankie Hejduk's length or style by first kick 2015). The real scoop is Coach Berhalter and Josh Wolff have been using the Infinite Improbability Drive, which powers the Heart of Gold spaceship, to travel unnoticed to far-flung places such as Sweden and Egypt. Armed with nothing more than towels, smiles and exceedingly cheery dispositions, the two Crew coaches have signed Mohammed Saeid and hope to ink Omar Gaber. These two recent developments, following on the heels of Kei Kamara's re-joining the Crew, help solidify Gregg Berhalter as one of the top minds in Major League Soccer. The Columbus Crew SC, with new owner, brand and marketing in hand, want to break attendance records, win championships and establish the Black and Gold as a sophisticated worldwide entity. Finding where the true soccer nuts in Columbus hibernate, barely noticing the old hardhat wearing Crew, was critical. For almost twenty years the Columbus Crew front office milked the tried and true suburbanite soccer families of Central Ohio. The ebb and flow seen on the attendance front was easily predicted. 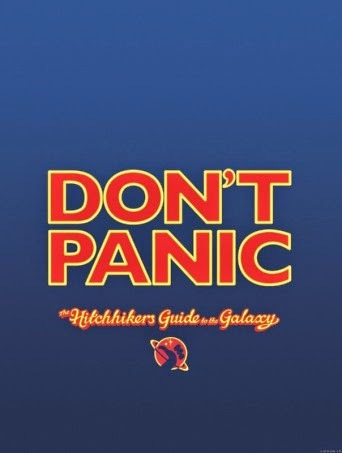 Turning the thousands of Crew averse sleepy soccer nuts into Black and Gold SC fanatics, while continuing to reach out to the core fan base, apparently, required the Herculean efforts of Anthony Precourt, Gregg Berhalter and a copy of The Hitchhiker's Guide to International Soccer (not to mention The Heart of Gold). These latest moves, by one of Major League Soccer's best young managerial minds, are quite clever and may pay super-sized dividends long into the future. Kei Kamara, Mohammed Saeid and Omar Gaber are all quality soccer players. Kamara is an MLS proven commodity, while Saeid and Gaber are young internationals who complement Gregg Berhalter's rapidly developing Crew squad. The icing on top is the fact that these signings have the power to tap into the large and soccer passionate international community in Columbus. Kamara, Saeid and Gaber, as well as Justin Meram, now playing for the Iraq National Team, give the Columbus Crew a unique international flavor. Kamara grew up in Sierra Leone, having moved to the United States at the age of sixteen. Saeid, born in Sweden and a veteran at the age of 24, brings European pedigree to Columbus. Gaber, Egyptian and having national team level experience, will be the first Egyptian to play in Major League Soccer...if he signs. Meram, born and raised in the U.S., is the unique case of an American citizen playing for a Middle Eastern country. Columbus boasts a large Somali population. This group of recent immigrants is quite crazy for the soccer. Through Ohio State University, Columbus can also boast a growing and varied international population. Finally, there are a substantial number of people living in Columbus who count Mexico as their country of origin. Maybe coach Berhalter should look to a our neighbors to the south for the Crew's next addition? Whether they be home grown, European, African, Middle Eastern, or Mexican, Gregg Berhalter finding and signing young talented players from a diversity of locales can only help win games, and perhaps just as important, bring thousands more Columbus, Ohio citizens out to see the ever more sophisticated, worldwide entity known as The Columbus Crew Soccer Club.